My second entry into Curt's Analogue Painting Challenge is this regt of French Chevauleger or Light Horse. They weren't Light Horse as you'd think though, they were infact on the same level as English or Dutch Horse of the time. 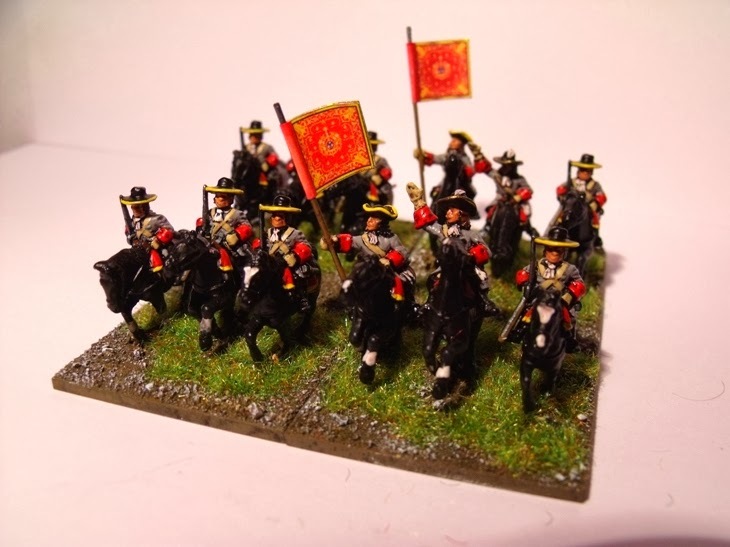 The figures are once again from Essex Miniatures and represent the St Germain-Beaupre regt of Horse. The unit fought at 3 major Battles during the Nine Years War Namur, Steenkirk and Neerwinden/Landen. The regt were raised in 1653 in 1692 their name changed to Gournay and again in 1696 they had a name change to Cosse-Brissac. A further two name changes occurred after the war was over, in 1704 during the WSS they were named Magnieres and in 1710 Monteila. 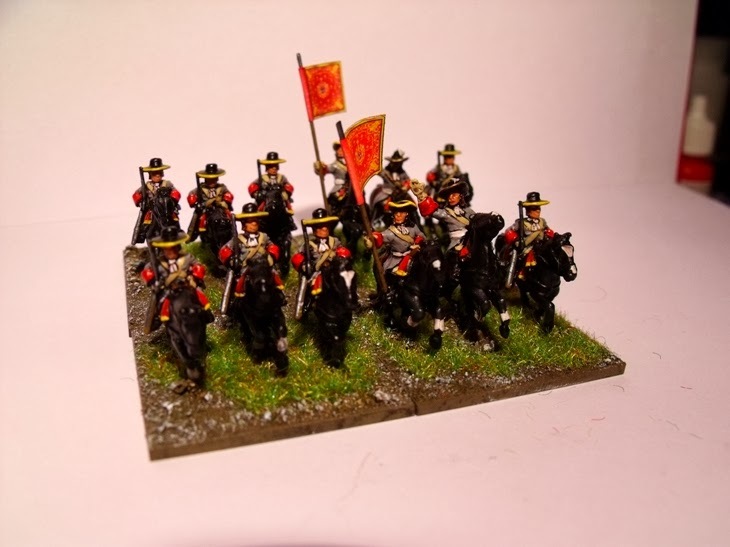 Unfortunately like most of the French Horse during the war they wore a very boring grey coat cuffed in red, hopefully I'll be adding a splash of colour with some of the other regts.......probably not though!!!! The flags are from the old Venexia website, the website is down and has been for some time now as the company has been sold, hopefully they'll get the flags back up for a free download again soon?? The unit earned me 50 points putting my total up to 105 and placing me in 29th place. Grey uniforms, red cuffs. If this was the way to paint them, then you did a wonderful job Ray! Fine work Ray, nice flag too! Thanks Scott, I'm quite pleased with them! Nice job! Sorry the site with the flag is still down. And so many name changes. Poor horses had no identity! Very striking!! Lovely work Ray! Very nice looking unit Ray !!! Thanks Neil, glad you like them! You always do a good job with soldiers of this era. A super looking regiment Ray! You should give us a shot of your armies deployed for action. Yep I feel the need for a BLB2 game!!! Very nice, Ray. I think that this base is the best I can remember you making...very well done. I like the grey coat faced red with yellow trim. Looks striking to me! I did choose this unit because of the yellow trim, its normally white. Glad you like them Dean, thanks! What splash of color are you considering and why probably not? 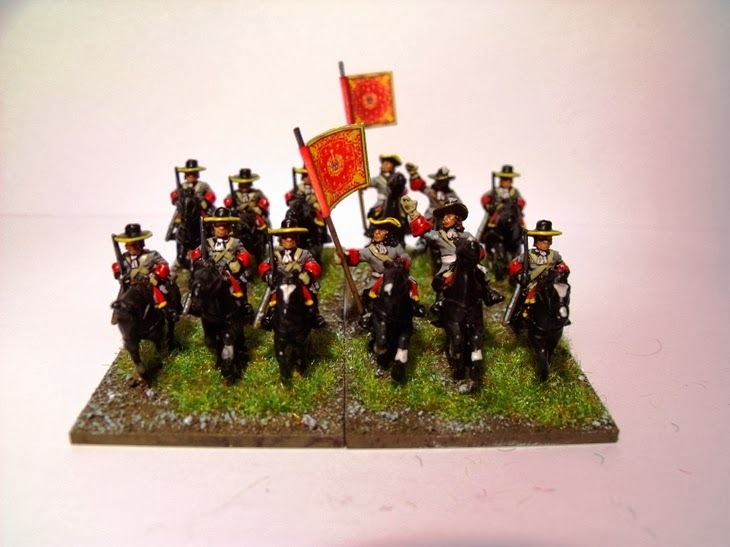 Most of the French Horse uniforms are either Grey, red or blue, so they're the only colours I can use, so there'snot a lot of colour, just variations on the 3, pretty boring really?? I would make them pink. Some yellow. And I love the color orange. Bloody hell, what's wrong with you???? Well done Ray. Another great unit. Nobody does this sort of thing better Ray! "En avant les gars! 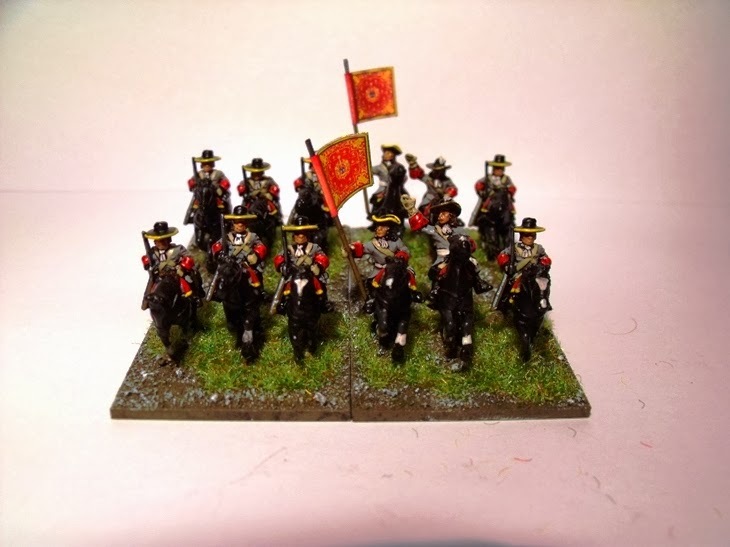 "...very nice looking regiment! Glad you like them Phil! Thanks Sgt! Where've you been hiding yourself? You're rockin' and rollin' as always, Ray. Keep it up and good luck with the challenge! As always, excellent work. How many miniatures do you have for this period now? I'm not sure just how many I have Chris.....far too many's a damn good guess!! Don't be too mean to the horses! They look great! I still imagine it gets tiresome, sorry! Really fine work, Ray. I´m now using this great source of information you have here! Sounds good, I'll look forward to seeing some of your NYW stuff! 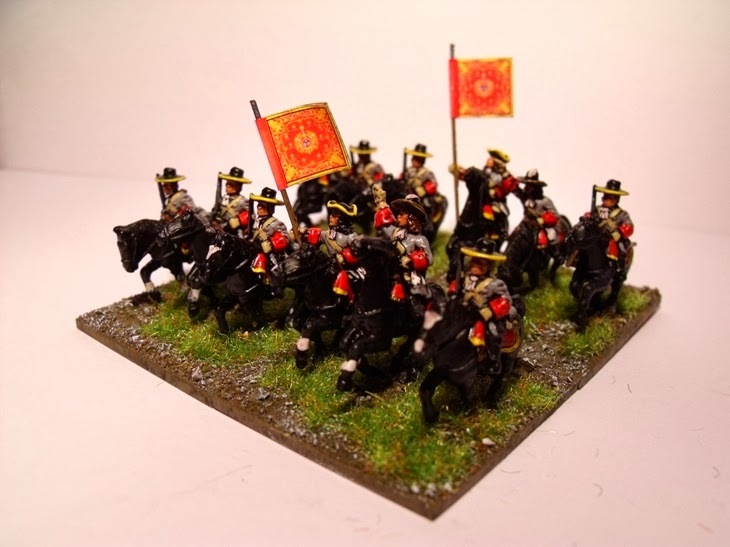 Excellent painted cavalry Ray! Love the grey uniforms!